The group’s visit to the villages in Raichur included the showcasing of some new cook stoves. The group’s visit to the villages in Raichur included the showcasing of some new cook stoves. 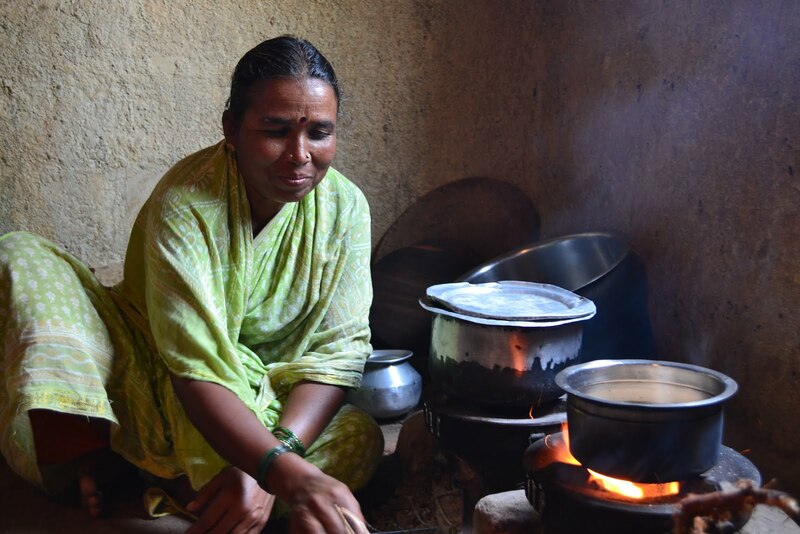 The stoves are provided at reduced cost to families of eight members or less, and thousands of such units have been installed. The stoves are designed to cut down on wood consumption and the production of smoke, addressing the villagers’ concerns about tree conservation and health effects associated with the inhalation of large quantities of smoke. One woman in the village testified to the benefits of the stove, citing reduced wood usage and increased breathability. However, it was observed upon entering the kitchen of one family that proper ventilation still remains an issue. While an improvement over the old stoves used, the new units still create a thick layer of black soot on the walls and ceiling of the kitchen when there are only a couple of small openings for the smoke to escape. After visiting the villages, some of the group decided to brave the heat and play a short game of cricket. Playing until the last bit of sunlight had left the sky, the group settled down into bamboo bed frames in a local cottage and on stone slabs under the stars for what was to be a truly Indian night of sleep.